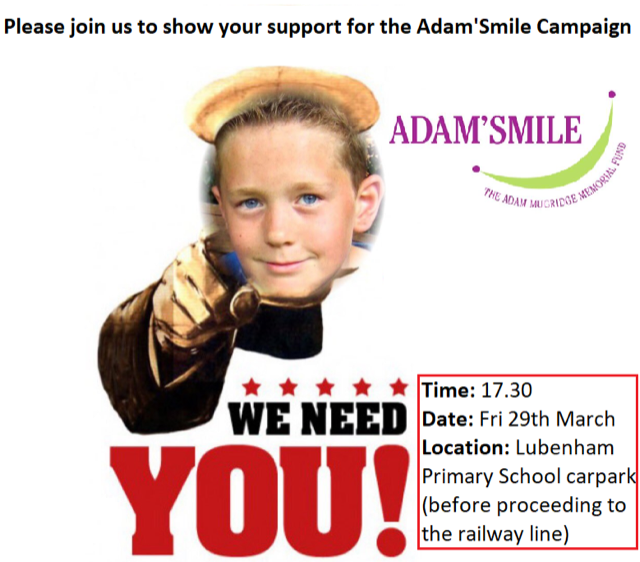 On Friday 29th March at 17:30 we will be meeting along the proposed AdamSmile route with both Neil O’Brien (MP for Market Harborough) and Paul Bremner (Market Harborough’s county councillor). We would appreciate any support and we will be looking to take some photographs on the day too to boost our campaign further by sending these on to the Secretary of State. We think Adam would have quite enjoyed the light heartedness of this post/picture. So let’s get out there and ensure we get a safe walking and cycle route in his memory! This entry was posted in Uncategorized by adamSadmin. Bookmark the permalink.